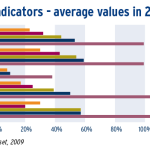 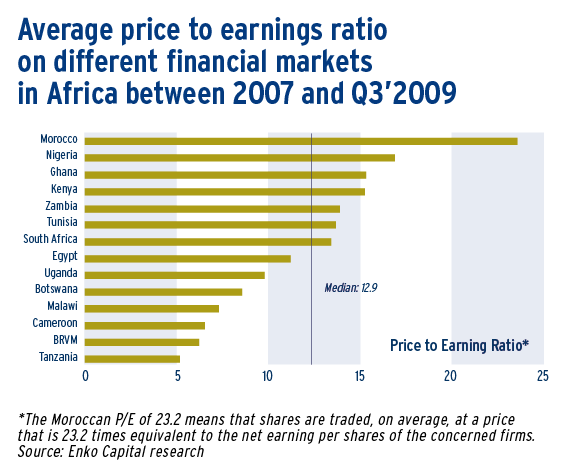 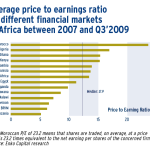 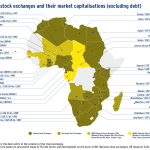 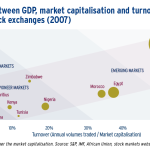 Sub-Saharan Africa’s financial sector may be relatively underdeveloped compared to other continents, yet its stock market issues have recently achieved encouraging performances in both numbers and volumes. 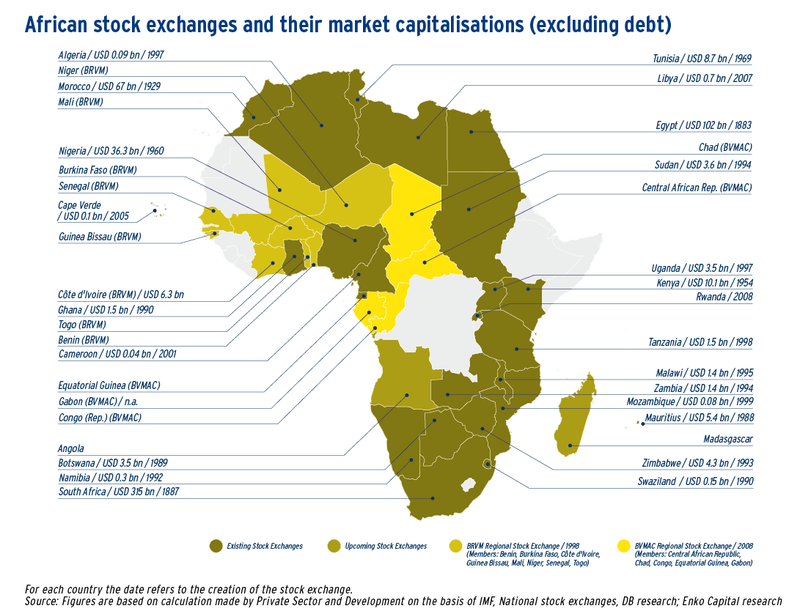 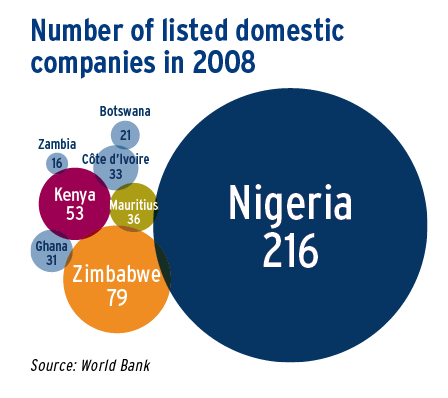 Indeed, since the late 1980s national and regional stock markets have been increasingly established in Africa and today there is practically continent-wide coverage. 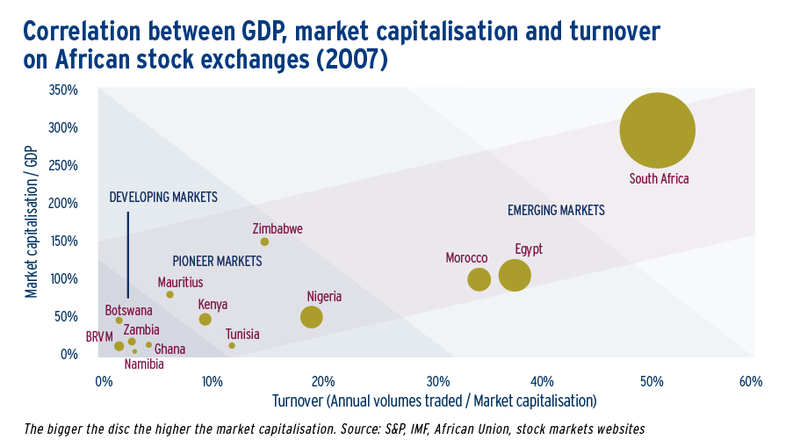 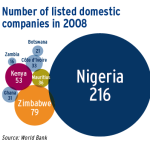 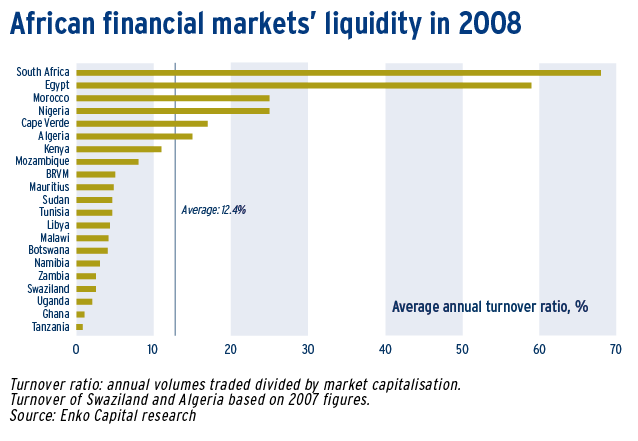 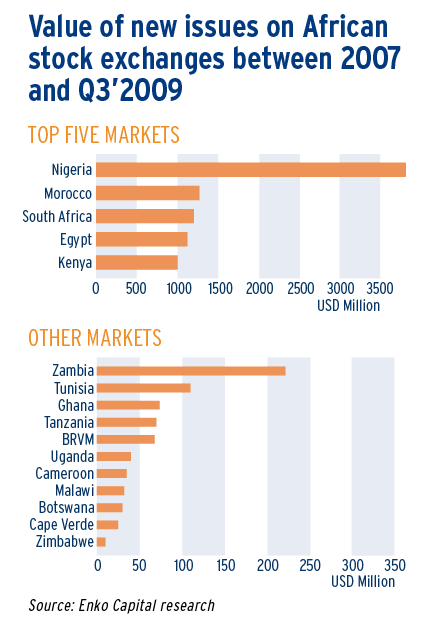 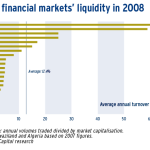 However, great disparities still exist between the handful of major markets like South Africa or – to a lesser extent – Nigeria and newer markets that remain very small and lack liquidity.